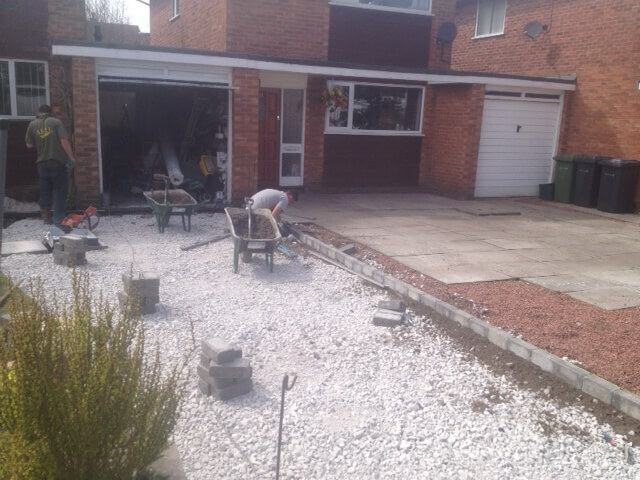 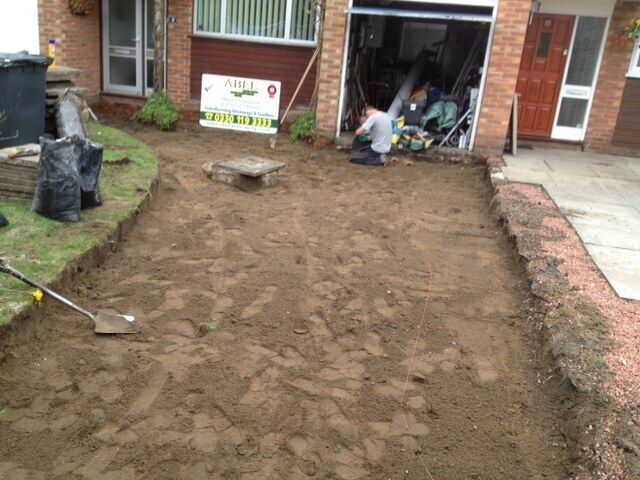 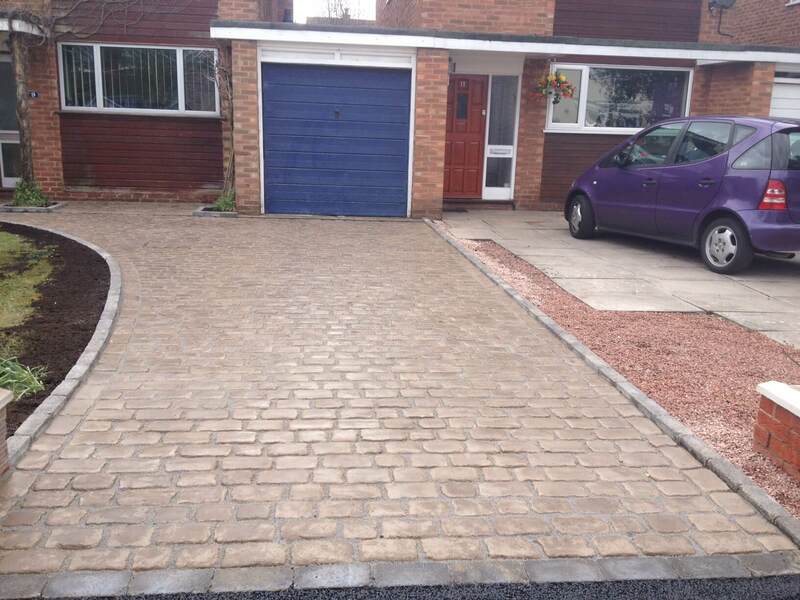 Here we were carrying out a new driveway installation using Marshalls Drivesys Original Cobble block paving driveway system in Canvas Colour in Formby Merseyside. 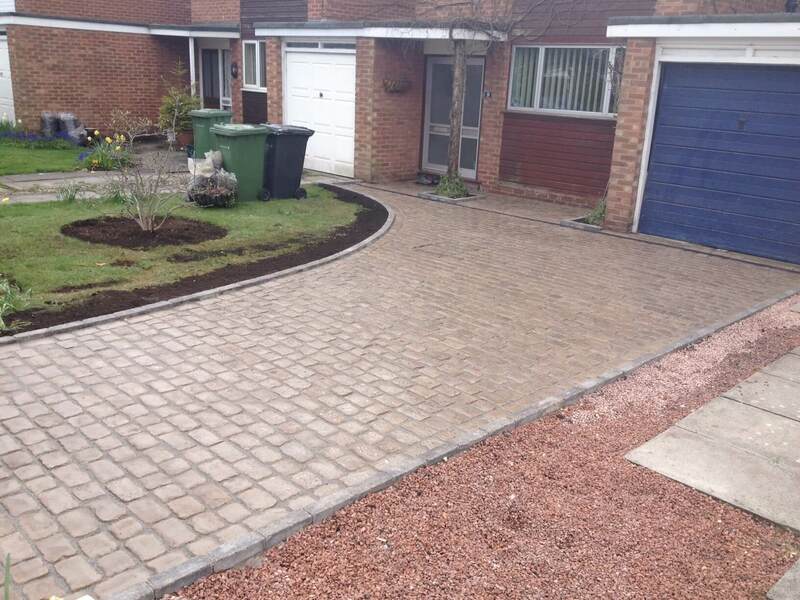 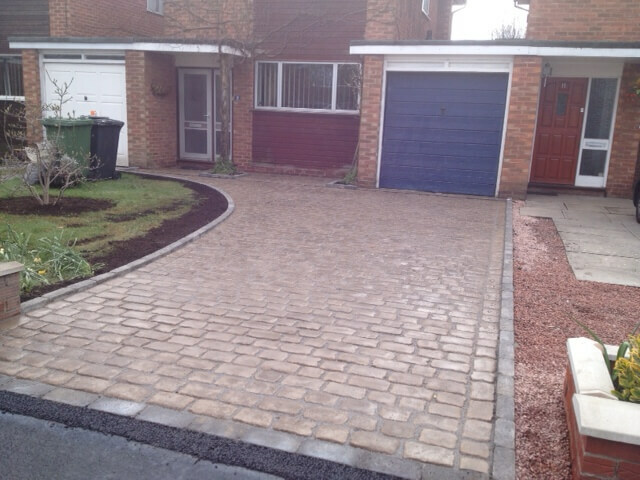 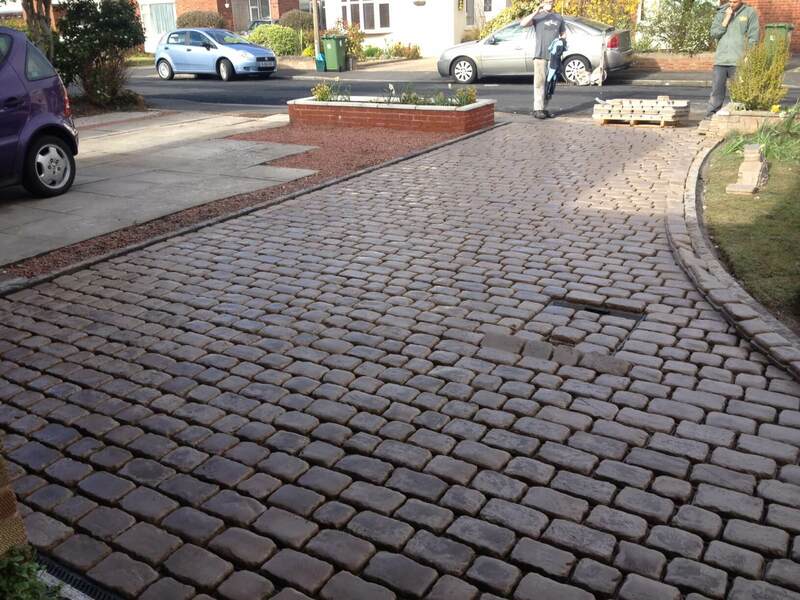 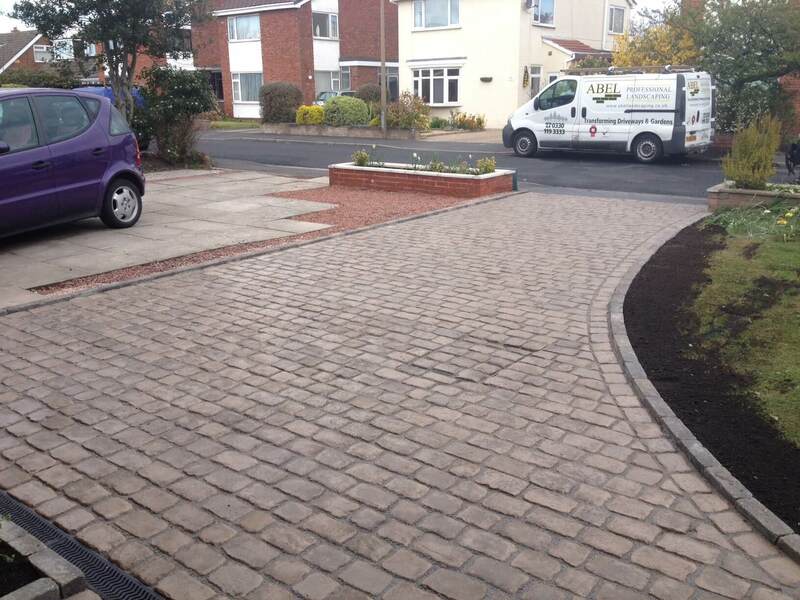 The both sides were secured using Marshalls Drivesett kerbs to create the decorative raised edge, the left side was shaped blending the driveway from the entrance to the front door. 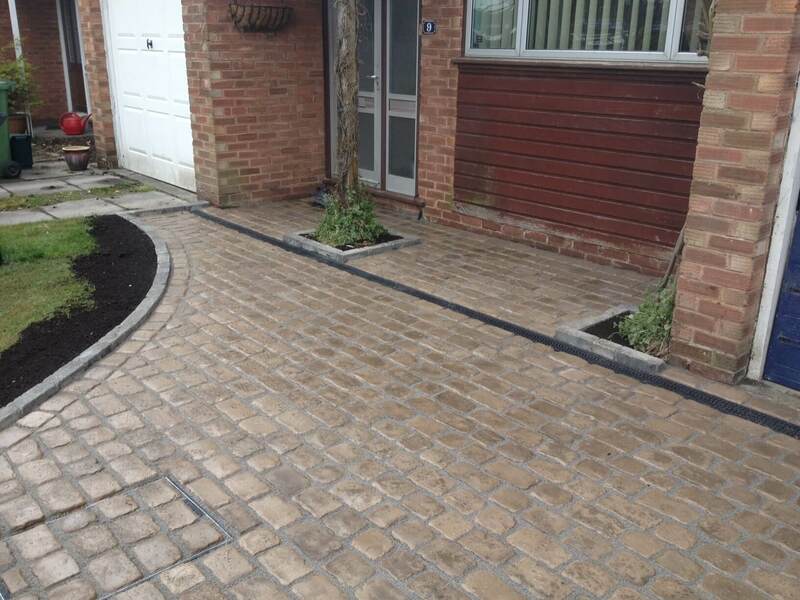 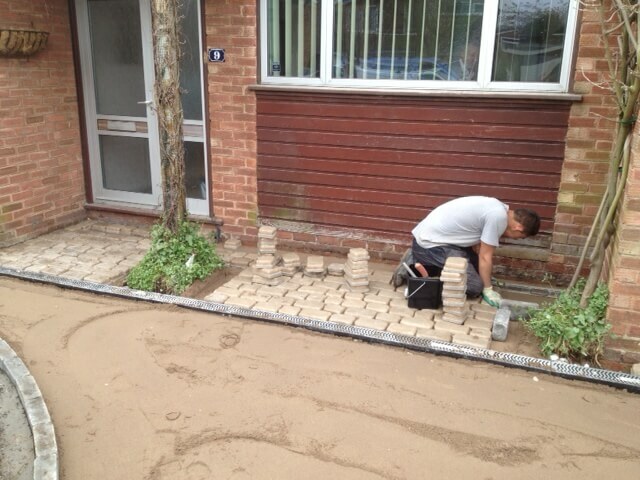 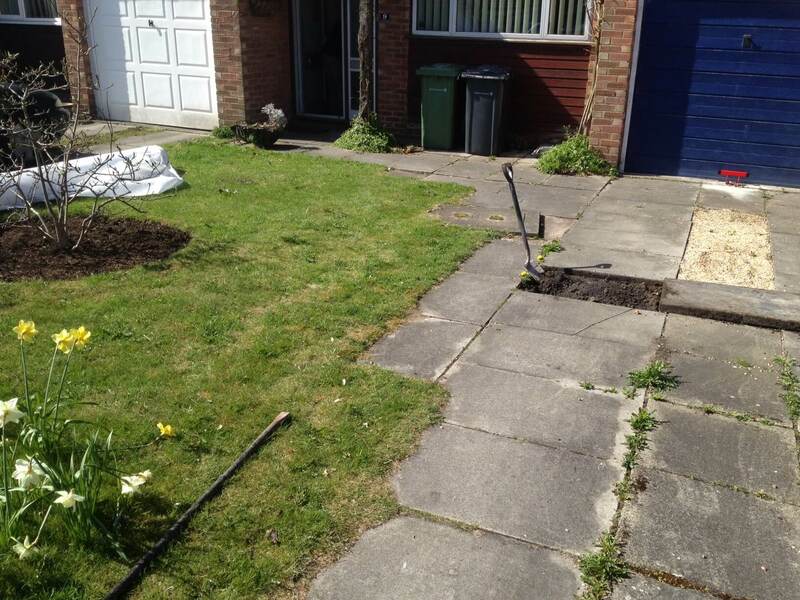 We were also installing a linear drainage system and soak away and a recessed manhole cover to comply with planning regulations of front gardens and driveways.